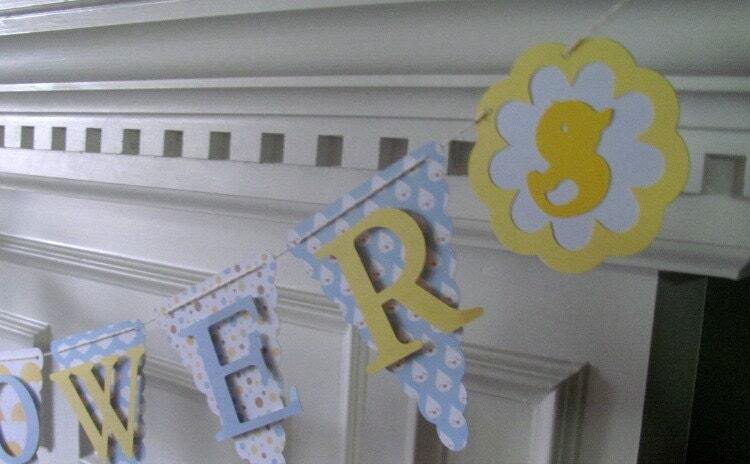 This cute banner will be the focal point for your baby shower. 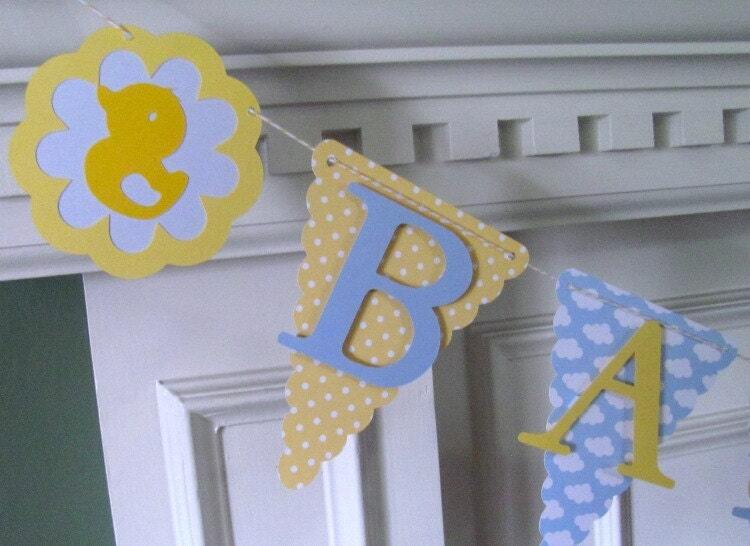 Banner wording may be changed to Welcome Baby, It's a Boy/Girl or may be customized to your specifications. Just specify in notes your desired wording-up to 15 characters for no additional charge. 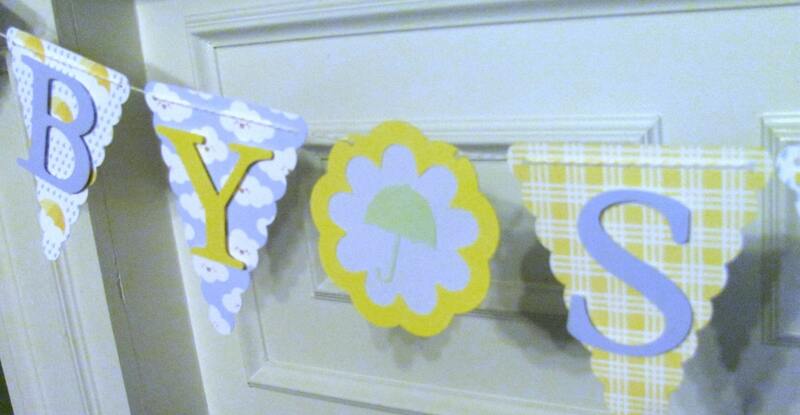 Cute shower themed paper is printed on heavy weight card stock. 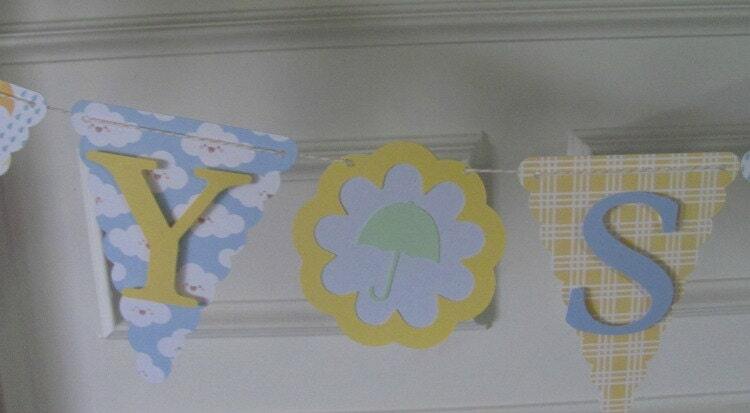 Panels measure 3.5" wide and are strung on yellow and white twine. Banner is anchored with rubber duckies. Banner will be shipped via priority mail in US and via US International First Class mail for international buyers. Tracking information will be provided.